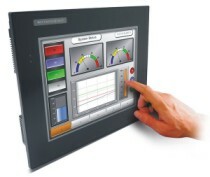 ControlSystemsUSA.com is a provider of process control and field instruments for Oil & Gas, Industrial Machinery, Pipelines, Custody Transfer, Tank Gauging, Waste Processing, Water Treatment Plants, Burner Management Systems and Incinerators, Conveyor Control, Food & Beverage, Motor, Pump & Compressor Control, Wireless Telemetry, Data Logging, Real-Time Process Data to Web. At ControlSystemsUSA, you deal with the people who have actual and extensive experience in the use of process control instrumentation. 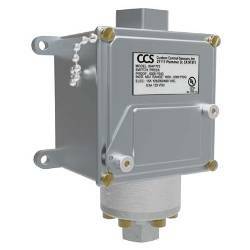 CCS 604P Piston Sensor Adjustable Pressure Switch for Non-Hazardous Areas. 10 to 5000 PSIG. 0.69 to 345 bar. Vibration and shock resistant. High cycle life. IP65. NEMA: 4 & 13. Weatherproof. CE Mark and UL Listed. Highly reliable devices utilizing the CCS Dual-Snap� Belleville disc spring principle pioneered by CCS� engineers. Engineering based on aerospace technology. Rigid, midsize and internally adjustable for convenient field set point adjustment. Repeatable and stable set points. High over-pressure capability (System and Proof). Various options for wetted materials and electrical ratings to meet a wide range of application requirements and media compatibility. Well suited for high impulse hydraulic applications.